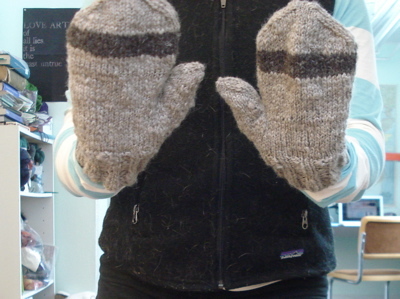 I used the Alex’s Mittens pattern, and modified for gauge/size. 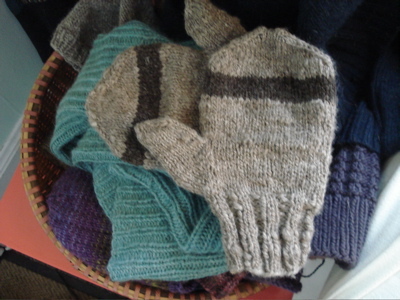 I cast on 36 st, increased to 42 st after the ribbing, followed the thumb gusset instructions but only up to 15 st for thumb, and did one more uniform increase row (up to 48 st) on the last thumb gusset increase row. 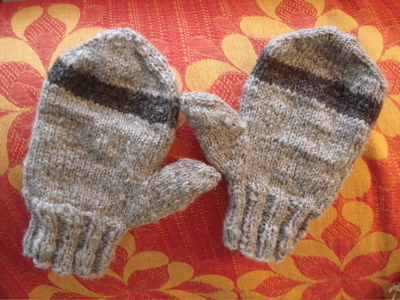 I followed the pattern for the decreases at the top and for the thumb. I love these: they are rustic, cozy, and wide enough that I can probably wear these as an outer layer over close-fitting mittens or fingerless mitts.